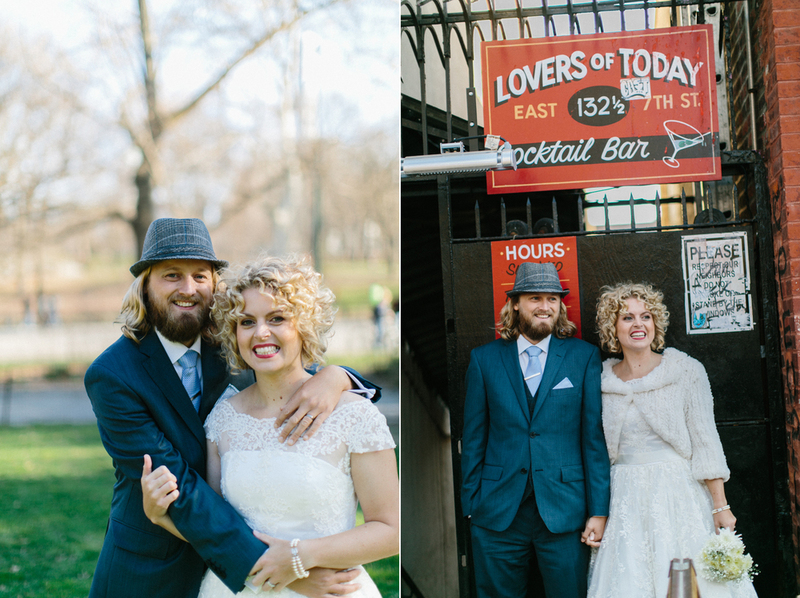 What I love about these elopement photos (and maybe no one would notice but me) is that we have gorgeous muted tones: in the dusky sky on the Brooklyn Bridge, the foliage in Central Park and the Sixth Street and Avenue B Community Garden, and on some of the stone buildings. We also have the bright punchy colors of New York City cabs, murals, signs and bright walls of the East Village, and Jane’s wonderful red wedding shoes. What I love about Jane and Oli is that they couldn’t stop grinning at each other! 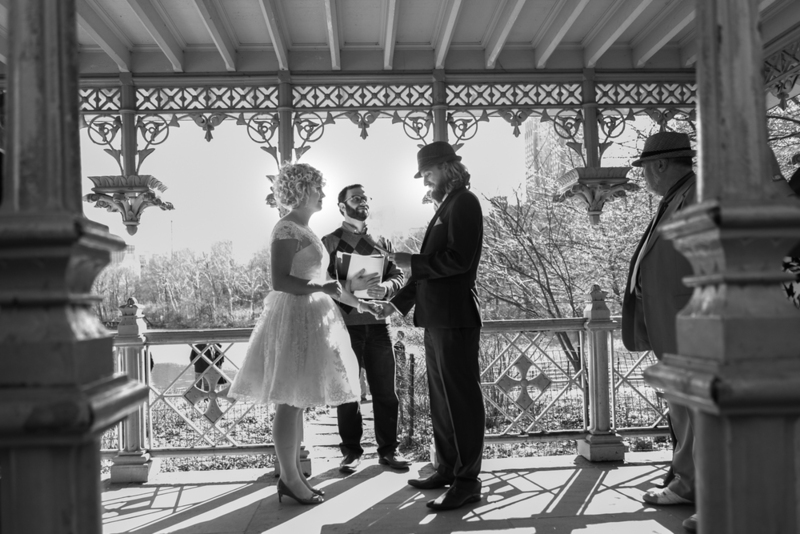 They eloped in the Ladies Pavilion in Central Park, officiated by my future husband Marley Jay and surrounded by a few close family members who had traveled with them from Australia. The couple and I (and Marley, who I wrangled as photo assistant) then traveled to the East Village for some photos. I didn’t know about the Sixth Street and Avenue B Community Garden until we stumbled upon it, and it felt like finding a hidden gem in New York City for their wedding photos.